If you feel the earth move under your feet in Texas in the coming months, it could be an earthquake like the minor ones that have rattled Dallas and Austin recently. Or, it could be hundreds of hoofers converging to shed wood at one or all three of the Lone Star State’s top tap dance festivals. Two of Texas’ longest-running tap festivals are fast approaching. Austin’s Tapestry Dance Company will hold the 15th annual Soul to Sole Festival June 10-14. Third Coast Rhythm Project will host their 18th annual Summer Tap Festival July 15-19 in San Antonio. Then, thanks to the efforts of a handful of North Texas tap artists and teachers, the cleverly-titled Rhythm In Fusion Festival (RIFF) drops in Jan. 15-18, 2016 for its second year. These fiestas aren’t just a Texas thing. 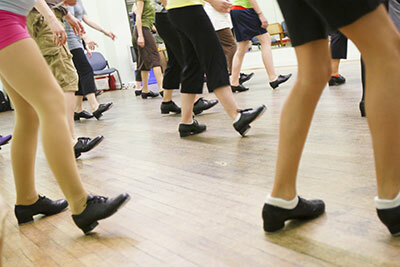 Tap dance is always in season in festivals all over the world, from Vancouver to Beijing. People convene during festivals to learn from master teachers, watch exceptional performers, share their talents, and participate in the celebration of this indigenous American art form. This culture of face-to-face social sharing and networking and an atmosphere free of prerequisites sets tap festivals apart from other dance training opportunities. Tap festival participants don’t audition, nor do they have to be at a certain level of training. Seasoned or green, young or old, all are welcome and events usually offer a wide variety of experiences to maintain this environment of inclusion. Improvisational jam sessions and friendly one-upmanship advance the art form and the skills of its dancers. Since the early 20th century, Texas has been home-growing talented entertainers and tireless tap educators in Austin, Dallas, Houston, San Antonio, and points beyond and in between. 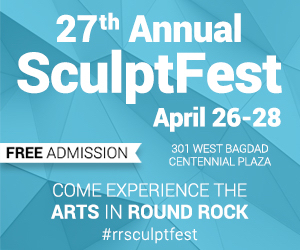 Producing a comprehensive list of its VIPs would ensure leaving out leaders of supreme significance, however it is significant that the largest cities in Texas have all been active in providing festivals to tap dance enthusiasts over the last three decades. Maxine Silberstein is the dance director at the Jewish Community Center of Houston and has been instrumental in the organization of its annual Dance Month celebration since it began in 1981. She and the JCC have a long-standing relationship with tap dance. 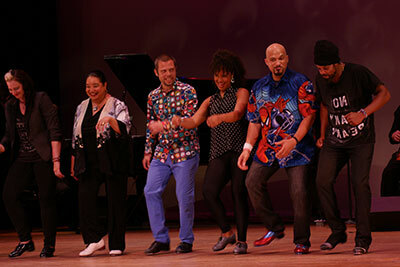 Silberstein was on hand in 1989 as Chairwoman when a committee representing Houston’s Discovery Dance Group and Society for the Performing Arts came together to offer Houston audiences and dancers a one-week exploration of the improvisation-based art of jazz tap, also called rhythm tap. According to Silberstein, the festivities included a three-day educational program in the Houston public schools, a three-day conference with lecture/demonstrations, films and panel discussions, and six days of master classes taught by our country’s leading jazz tap instructors at the time. Discovery Dance Group was in charge of these educational aspects of the festival, collectively titled Outrageous Rhythms, and dedicated to the memory of two Houston greats who had recently passed: Camille Long Hill, the founder of Discovery Dance Group, who is noted for having taught Houston-born tap icon, Tommy Tune, and is a legend in her own right for her contributions to dance education; and Arnett Cobb, acclaimed saxophonist and founder of the Jazz Heritage Society of Texas. “The most published writer of tap in the world,” Melba Huber, who lives and teaches dances in McAllen, TX was there, appearing on a panel for Texas Oral Dance History. For 20 years, she authored a tap column in two major dance magazines. Her articles, which have been painstakingly republished in an archive at MelbasDance.com, are a treasure trove of interviews and insider views of tap dance, a form frequently underserved by print publication. Sarah Savelli, Dianne Walker, Max Pollak, Lisa La Touche, Martin Tre Dumas, Derick K. Grant. at the Gala Performance Jazzed on Tap at the Third Coast Tap Festival in San Antonio. Photo by Gloria Trevino. Charles “Honi” Coles is a bonafide tap icon. Known for his elegance and style, Honi, who toured with the big swing bands of Count Basie and Duke Ellington during the late 1930s and was later partner to Charles “Cholly” Atkins, was once described by Lena Horne as making “butterflies look clumsy.” While in his 70s, Coles appeared on Broadway, winning a Tony Award for his performance in My One And Only, featuring Tommy Tune. He also appeared in films such as The Cotton Club and Dirty Dancing. But Coles wasn’t the only star on the Great Tap Gathering lineup. As mentioned, Steve Condos and Sam Weber performed, as did Jimmy Slyde, Eddie Brown, Brenda Bufalino, Lynn Dally, Dianne Walker, and a young Savion Glover who, at age 15, had already starred on Broadway in The Tap Dance Kid, Black and Blue, and in the film Tap with Gregory Hines. The Gathering was held one more time in 1992 as part of SPA’s celebration of Black History Month. Since the 1990s, H-town tap dance has struggled to find its footing again outside of competitive dance but there are a few holding the torch for rhythm tap in Houston. 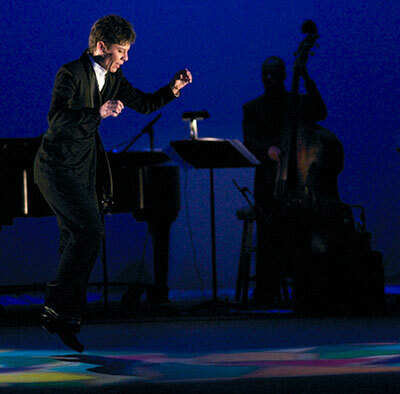 Through the JCC, however, Silberstein has faithfully provided a spotlight for tap dance in Houston. 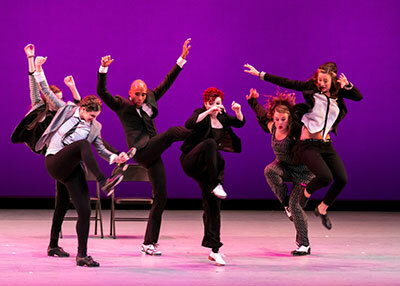 The very first Dance Month at the Kaplan Theatre devoted its first full weekend to tap and featured Debra Bray’s professional tap dance company, Austin On Tap. TCRP founder, Barbara Phillips grew up in San Antonio. “My earliest memory is of a local tap teacher, Toots Johnson, from whom I took my first tap dance lesson around the age of 5,” she says. She later studied with Camille Long Hill in Houston and it was while living there that she traveled to Chicago for the Jazz Dance World Congress. She saw Chicago Human Rhythm Project (CHRP) founder and director, Lane Alexander, dance with his partner Kelly Michaels at one of the presented concerts. “I was introduced and discovered he was a fellow Texan and his mom lived in San Antonio,” says Phillips. After that meeting, Phillips brought Alexander to teach master classes in Houston. In 1993, when she moved back to San Antonio, she found a shortage of tap dance teachers in the area. Phillips filled some of that void but recognized that tap dance programs instead of just classes were needed to develop young tap artists. 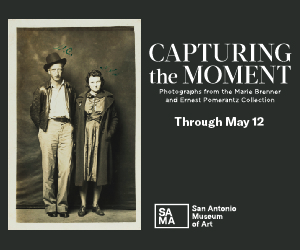 She continued to bring Alexander to San Antonio for workshops, classes, and choreography, forging a friendship that frequently brought them together on and off-stage. For these reasons, Phillips’ Third Coast Rhythm Project’s Summer Tap Festival attracts international participants and world-renown faculty like Sam Weber, Michela Marino Lerman, Max Pollak, “Tre” Dumas, and Lisa La Touche (all on the 2015 roster) to San Antonio for a tap event many regard as the “feel good” festival. Teaching from a chair due to a recent stroke, Honi Coles was assisted at the residency by Brenda Bufalino, who was helping as Coles’ “feet” in the choreographic process. “The way that Honi taught and shared his experiences through vocalization and visuals was inspiring. The magic between the two of them was incredible,” says Gray. A drummer since age seven, playing gigs with her father in the Houston area, Gray says the experience took her back to those early experiences. Feeling like a drummer again, it was this revelational experience that sparked the formation of Gray’s Tapestry Dance Company, currently the only full-time, professional repertory tap dance company in the world. Gray is recognized throughout the world as a leader and pioneer for her non-traditional approach to tap dance as an auditory expression as well as an outlet for storytelling. She authored an unconventional guide to tap steps called The Souls of Your Feet and became president of The International Tap Association, which was founded in Colorado in 1987 but moved its headquarters to Austin in 2008 due to Gray’s involvement. At its height, the organization had over 1000 members located throughout 28 different countries. Austin’s self-proclaimed “weirdness” as a premier location for artists and melting pot of musicians makes it a rich environment for tap dance and a unique place to hold the Soul to Sole Festival. Gray says she does her best to keep a percentage of the faculty grounded in history and tap legacy—“a generational representation with different perspectives from past and future.” Among the 2015 faculty are Brenda Bufalino, Arthur Duncan, Nicholas Young, Jason Samuels-Smith, and Nicole Hockenberry. 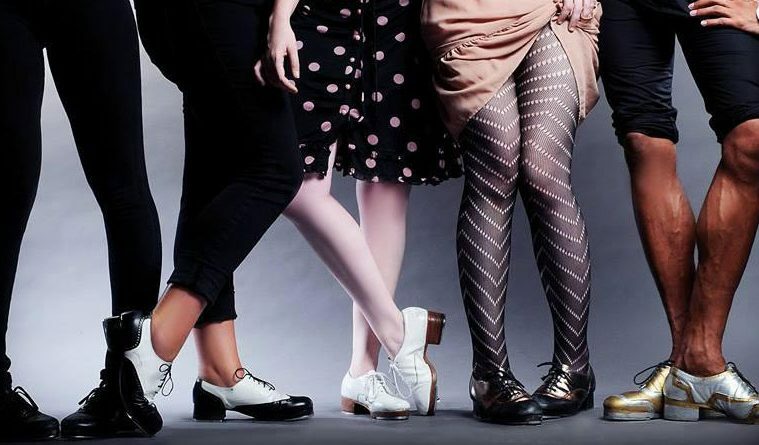 Anchored by a professional performance company, the festival’s focus on tap dance as visual and auditory art that goes beyond entertainment makes it unique. During her four years with Tapestry, Harris continued to teach in Dallas but eventually this became a strain and Harris decided to return to her hometown and create something of her own. She paired with Leverton, first as The Drawbacks, then Leverton & Forsberg, finally settling on Rhythmic Souls. Leverton is the granddaughter of the late Buster Cooper, a revered dance teacher in Dallas. Harris was a student of Cooper’s during her early teens and recalls he was a straightshooter. “If you weren’t pulling your weight in class or working to your potential, he would let you know,” she remembers. “He had very high standards, incredible passion and he expected as much from his students. He was also very involved and cared deeply for his dancers. I could feel that he believed in my potential and talent and he was great at nurturing that side of people.” Cooper once had six former dance pupils appearing on Broadway stages simultaneously. Many of his former students are leaders in the current North Texas tap dance scene. Harris’ partnership with Leverton didn’t last, and in 2013 Leverton reignited Choreo Records Tap Company to carry on Buster’s legacy and recreate his choreography. Meanwhile, in 2014, Harris decided to experiment with Rhythmic Souls. “I had no budget, no connections, and no idea where to start, but somehow, it’s one year later and we are on the map in Dallas,” she exclaims. Harris sees the development of three youth tap ensembles (HYPE, Choreo Records, and Rhythmic Souls, helmed by Harris’ sister Jackie) as groundwork for building a united tap community in Dallas. Another seed sprouting fruit is Rhythm In Fusion Festival (RIFF), an idea Harris helped spearhead but for which she considers herself a “front man” with Malana Murphy and Jackie Harris leading the support team. The inaugural RIFF event this winter was a huge success and plans for 2016 are well underway. Among the slated faculty are fresh artists making a splash in tap, including Chloe Arnold, Sarah Reich, Justin Lewis, and Matthew Shields, but RIFF organizers have stretched beyond tap dance to include a variety of dance artists from the Dallas area, including those versed in Folkloric and Indian dance. Nichelle Suzanne is (shhh) not a native Texan, but she too got here as fast as she could. A Houston dance instructor and writer, she is the founder and editor of DanceAdvantage.net, where she covers all things dance and dance training.